Andrew is really pleased with Mitchell's Santorini Hit’s recent results. 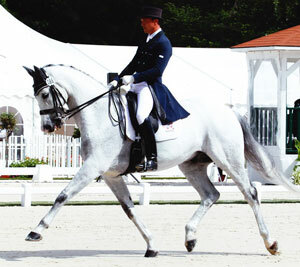 Due to these excellent dressage scores, ‘Santa’ has qualified for the National Championships at PSG level. Andrew has also qualified in four other classes on four different horses ranging from Medium to Inter I level at the Regional Championships held at Oldencraig in August. 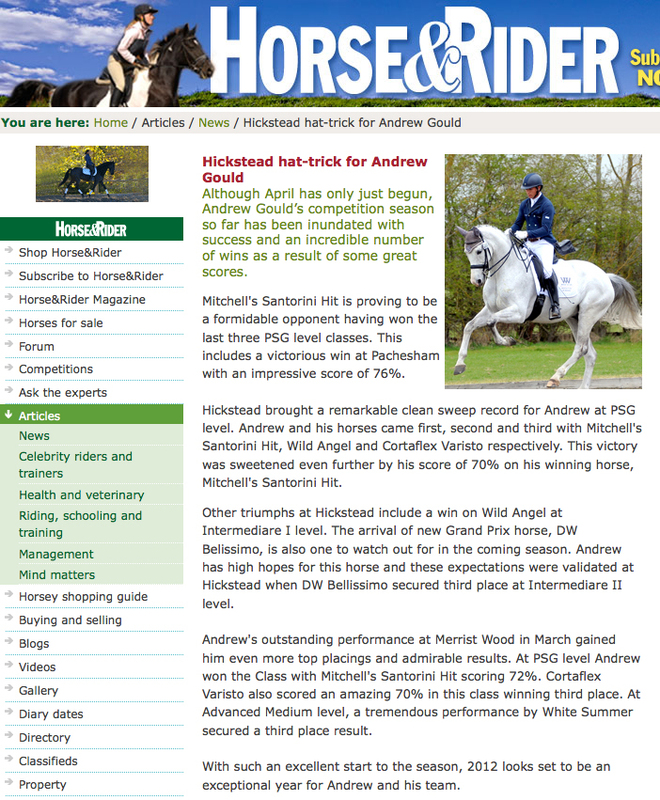 Andrew is delighted to have qualified on so many horses as they are all feeling on top form! 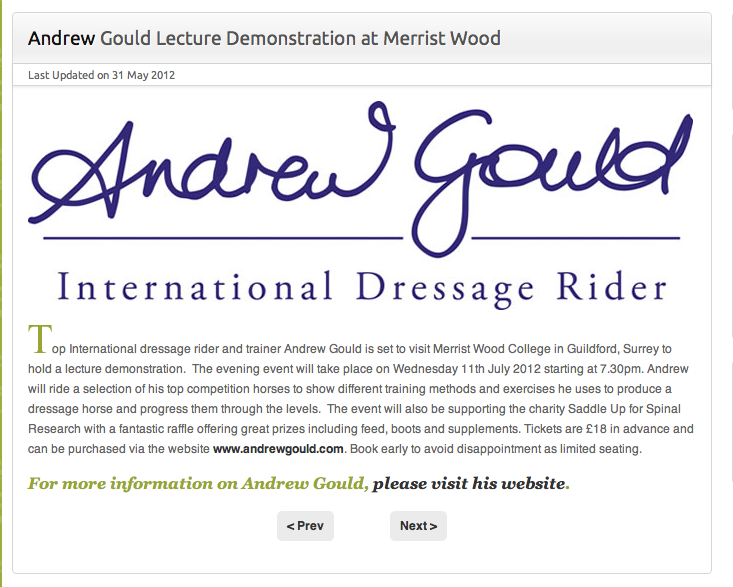 Andrew is thrilled that he has been asked to commentate for Horse & Country TV during the Olympics! 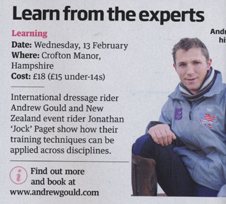 Andrew will talk viewers through what he sees happening with each horse and rider from a professional's view. Andrew was also honoured to have the opportunity to interview UK Paralympic rider, Natasha Baker with Katie Price which will be shown on Sky News during the Olympics. 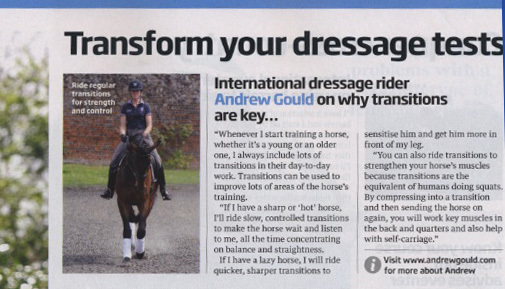 Dublin FM recently interviewed Andrew about his equestrian career choice, progression and success through the dressage ranks. 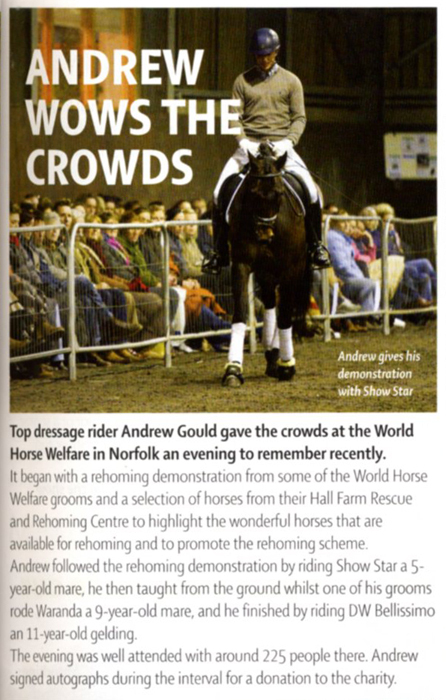 The show will be aired on the 'Show Biz Show,' Andrew aimed to 'paint the picture' of what his life is like as a busy dressage rider! 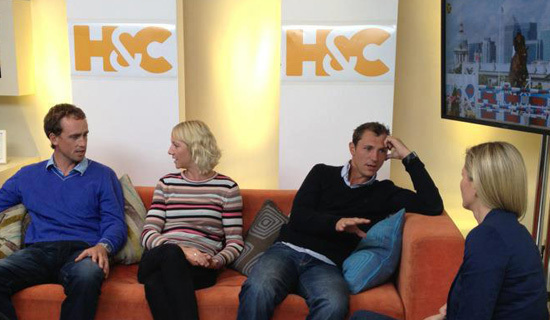 So, whether it is through the radio or television you will all be hearing from Andrew very soon! 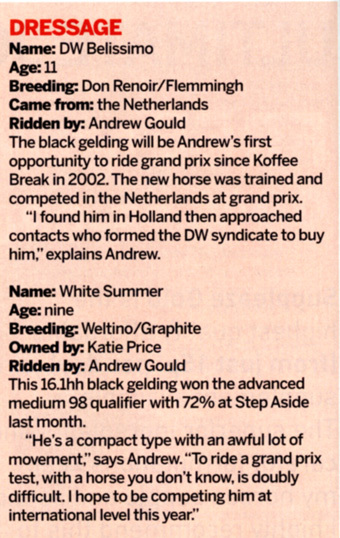 Compiegne showcased Andrew’s horses' incredible ability and talent at an international level. 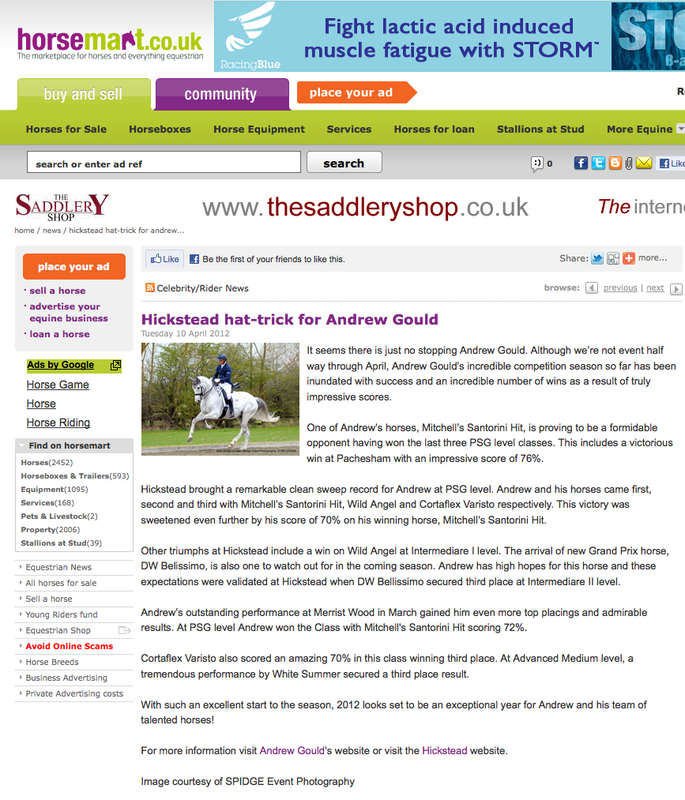 As a result, Andrew was selected to compete at Hartpury CDI3* with Mitchell's Santorini HIt and Haberano XLI. 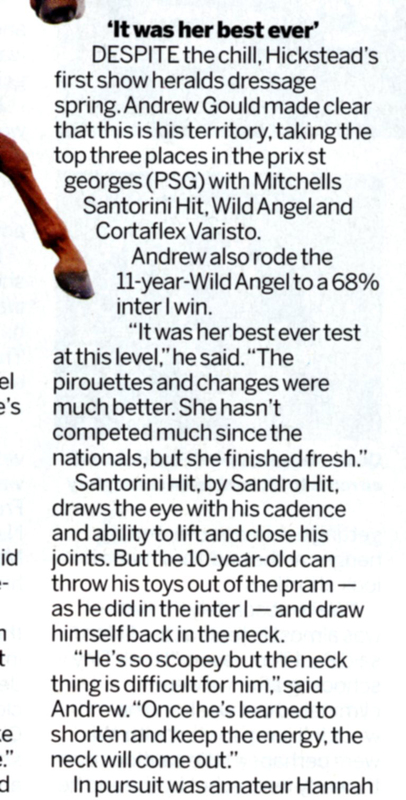 All horses performed excellently despite the terrible weather, especially Mitchell's Santorini Hit who scored an impressive 72.5% in the Inter I Freestyle to secure second place.